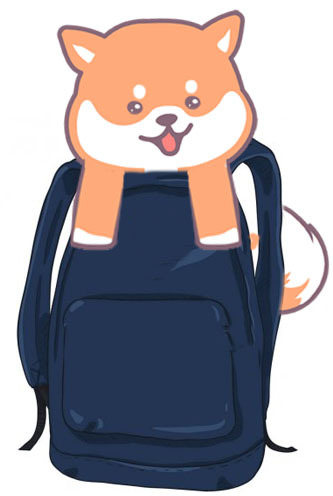 There's nothing cuter than a Shiba Inu in a backpack. Seriously, it's the cutest thing! But aside from looks, these dog backpack carriers are very useful in a variety of situations. 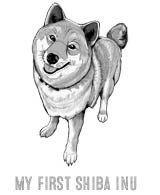 They're great for carrying very young or older Shiba Inus on outings that they might otherwise have to stay home. And of course, nobody enjoys leaving their Shibas at home. Dog backpack carriers are also good for hiking excursions where there maybe some difficult terrain to traverse. 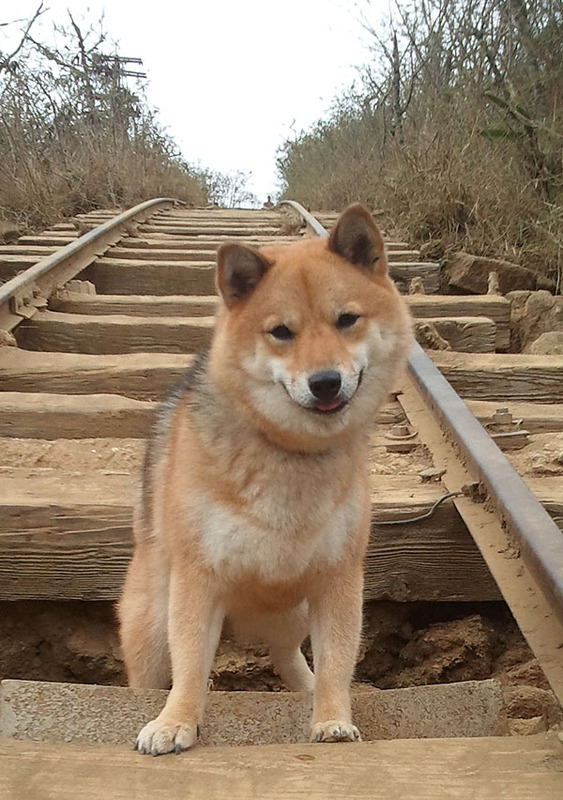 For example, one of my Shiba Inus, Kitsu, loves galloping up 1,000 steps on a popular hiking trail here on the islands. But on the way down? Me and my weary forearms need to carry her 70% of the way back down. After finally getting a dog backpack, the task became much easier to bear. These backpacks come in handy in crowded outdoor shopping areas or events. I always get a bit nervous about my Shiba getting stepped on or stressed out at these busy events, and carrying her in a backpack solved the problem nicely. The one major issue with dog backpack carriers is finding one that will fit a full grown Shiba Inu. Over 95% of dog backpack carriers available are only for small and small - medium dogs. And Shiba Inus at their largest seem to teeter right over the edge of small - medium. Luckily, we were able to find a few dog backpacks, actually just two, that can accommodate most full-sized Shiba Inus. Out of the two backpack carriers in this review, the K-9 Sport Sack (size L) is largest. So if you have a larger sized Shiba Inu, this backpack maybe your best bet. 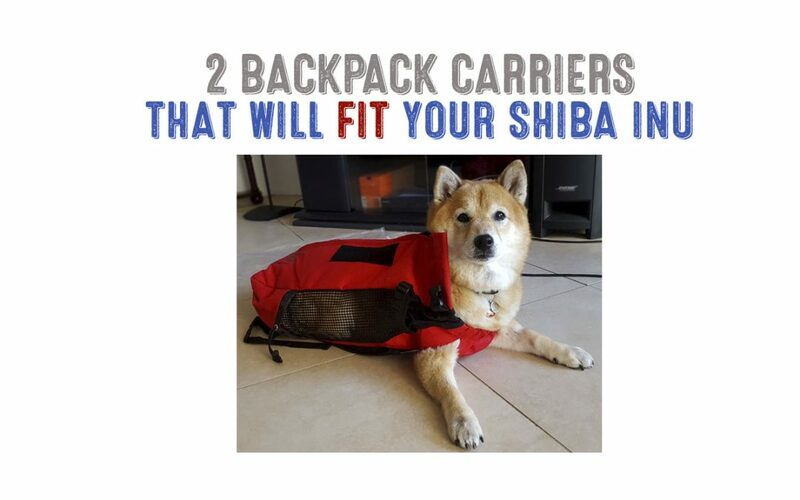 Keep in mind, that Shiba Inus outside of the standard size range due to being overweight or taller, etc - may not fit comfortably in these backpacks. Shiba Inu over 30 pounds and / or 21" in height will not fit "comfortably" in either of these backpacks. The K - 9 Sports Sack is a durable, machine washable dog backpack carrier that unlike some bulky dog "backpacks" - actually looks like a typical backpack. It features ventilated mesh sides, Foam-Tek slotted shoulder straps, side pockets, and easy pull zippers. The backpack (size large) feels reasonably secure when carrying a 25 pound Shiba Inu. There are various straps and buckles to ensure that your Shiba Inu stays in the backpack. Overall, I would recommend this backpack for taller, leaner Shiba Inus and the Ruffit backpack for smaller, heavier Shiba Inus. Check here for the latest prices of the K - 9 Sport Sack dog backpack carrier (large) here. The Ruffit Dog Carrier has similar features to the K 9 Sports Sack though it is a bit smaller. This backpack is only recommended for Shiba Inus on the smaller end of the size spectrum - up to 17 inches / 19 pounds. 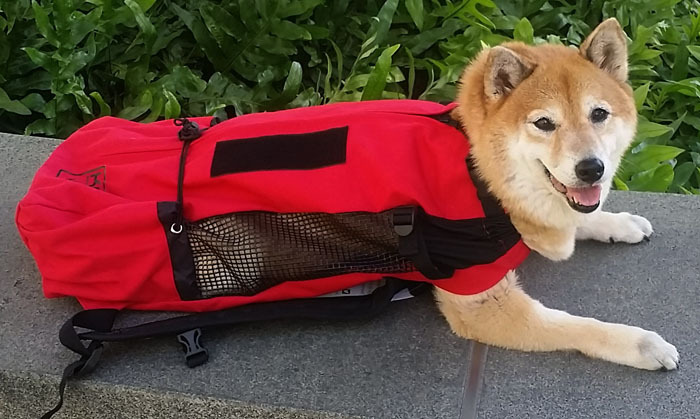 If your Shiba Inu is this size or less, this backpack is recommended a little higher than the K 9 Sport Sack due to comfort, fitting, and a bit more durability. 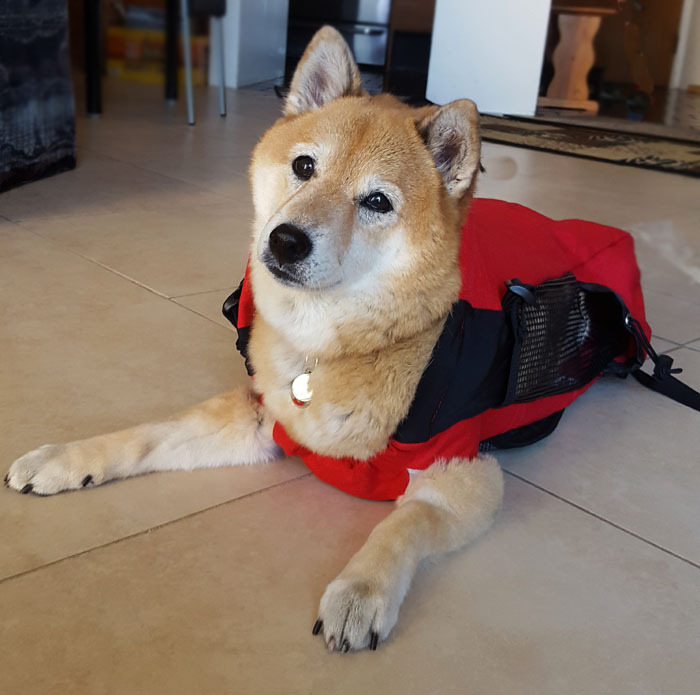 The Ruffit backpack feels more comfortable to wear and has a securer hold and fit for a Shiba Inu. 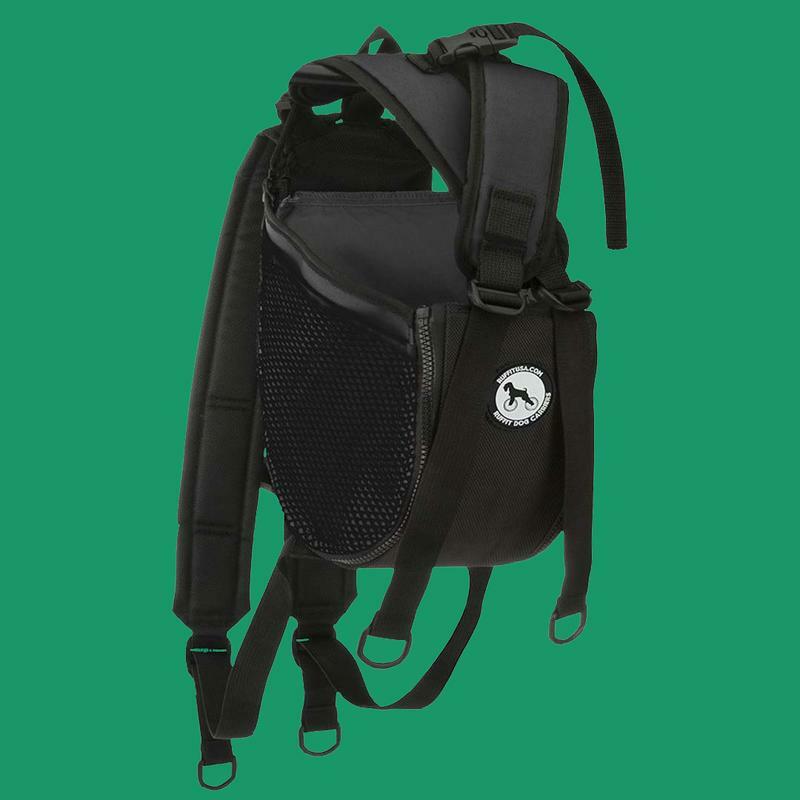 An extra adjustable back loop allows you to strap in your Shiba Inu securely and comfortably. For sizing, smaller Shiba Inus will fit into their largest sized offering - extra large. Check them out here.